Sounders to be connected to DVR or alarm systems. These horns are used to generate warning sounds or to amplify voice messages. They are used with DVR video recorders or burglar alarm systems. This siren generates a continuous high-power alarm sound. It can be used together with alarm contacts or panic buttons to generate an immediate worning sound in case of danger. It is also possible to activate it with the alarm outputs of DVR or alarm systems. This device is equipped with only two connection cables (12VDC +/-). The siren is activated by applying 12VDC to these terminals. DC power adaptor is not included. 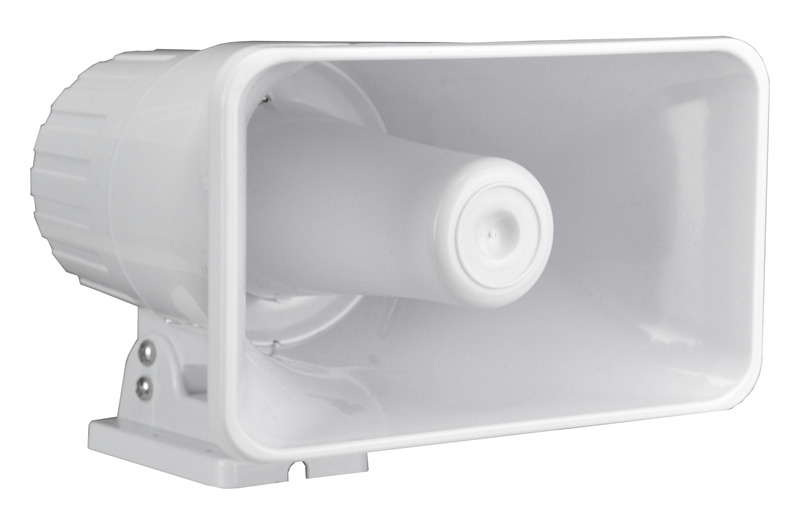 Thanks to the waterproof ABS casing, this siren can also be mounted outdoors exposed. AN-SP2 is a siren similar to the previous model, but which also works as a speaker, able to amplify an audio signal. It can be connected to the audio output of our DVRs or IP cameras, to amplify the voice of the operator during the bidirectional conversation. The device has +/- 12VDC power cables and an audio input. It also has a NO alarm input to activate the siren sound. Thanks to the waterproof ABS case, this speaker can also be mounted outdoors. 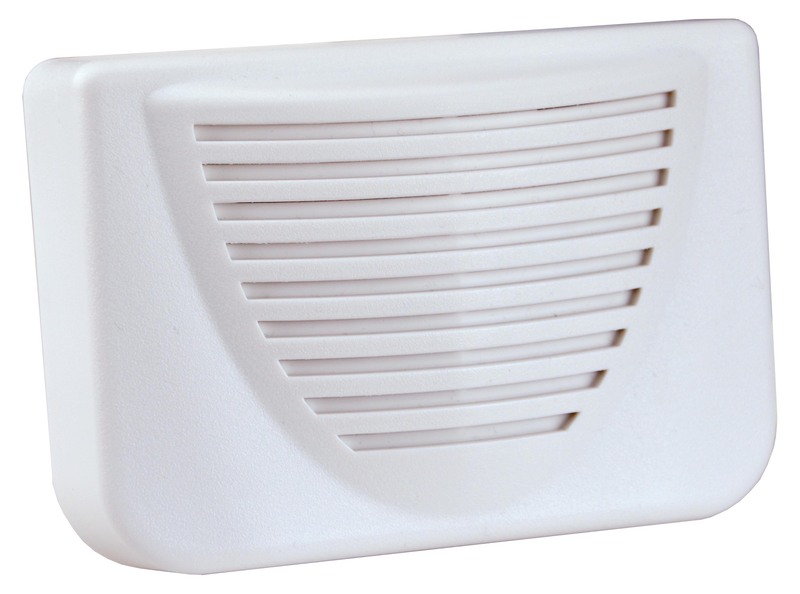 This indoor siren make a continuous high-power alarm sound. It can be used together with alarm contacts or panic buttons to generate an immediate warning sound in case of danger. It is also possible to activate it with the alarm outputs of DVR or alarm systems. This device is equipped with a 12VDC power input. The siren is activated by applying voltage to these terminals. DC power adaptor is not included. There is also a TAMPER output which is an NC contact which activates if the siren is opened or ripped from the wall.